Christian is a double major in media studies with an emphasis in public relations and English with an emphasis in professional writing. Along with his majors, Christian is also minoring in social media. This is Christian’s third year with the Exponent. 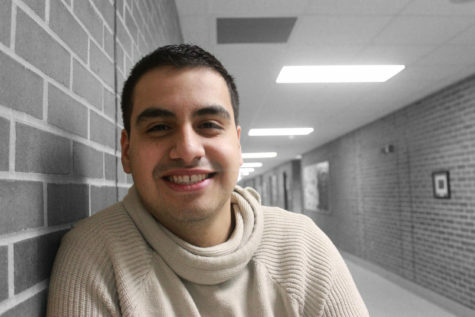 Christian was originally a transfer student from UW-Parkside as well as College of Lake County. Currently, Christian is an intern at the Wisconsin’s 57 TV station in Madison. Christian gets to write scripts, films commercials and television programs. During his free time, Christian likes reviewing television, films and novels. Christian plans to graduate Spring 2017 and stay with the Exponent during his remaining time with the university. After graduation, Christian plans on moving to Madison to continue his work at the Wisconsin’s 57 TV station.